The defender suffered huge sales after missing Gameweek 9 due to suspension. 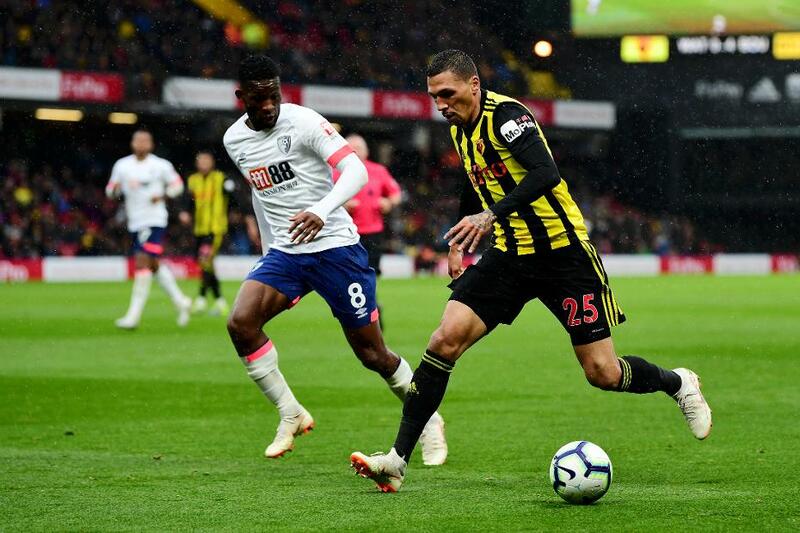 Holebas was transferred out by over 391,000 managers for Watford's 2-0 win at Wolverhampton Wanderers. But he looks set to return to the team for an attractive home match against Huddersfield Town on Saturday. The former Greece international's 13.5 per cent ownership have enjoyed consistent attacking returns. Only two defenders, Benjamin Mendy (£6.3m) and Marcos Alonso (£7.0m), have supplied more than his four assists, with six and five respectively. And Holebas has also found the net once in a productive eight Gameweek starts. The 34-year-old's creative potential is highly impressive. His total of 17 chances created is more than any other defender in FPL. Set-piece duties have played a big part. He has created 14 chances from free-kicks or corners, joint-top with Gylfi Sigurdsson (£7.4m) in FPL. Holebas’s home record looks very promising for the visit of Huddersfield. The left-back has recorded 31 of his 35 points at Vicarage Road, averaging 6.2 points per match. His prospects of a clean sheet also appear favourable as the Terriers have scored only four goals, fewer than any other Premeir League side. Combined with his potential for assists, Holebas can extend his excellent home form and punish those managers who recently sold him on.